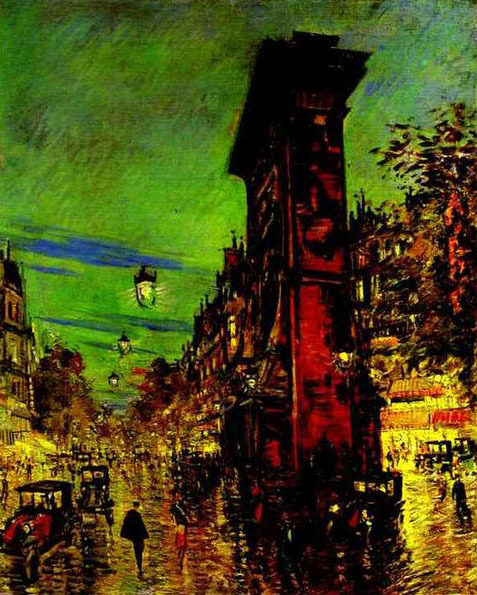 (b Moscow, 5 Dec 1861; d Paris, 11 Sept 1939). 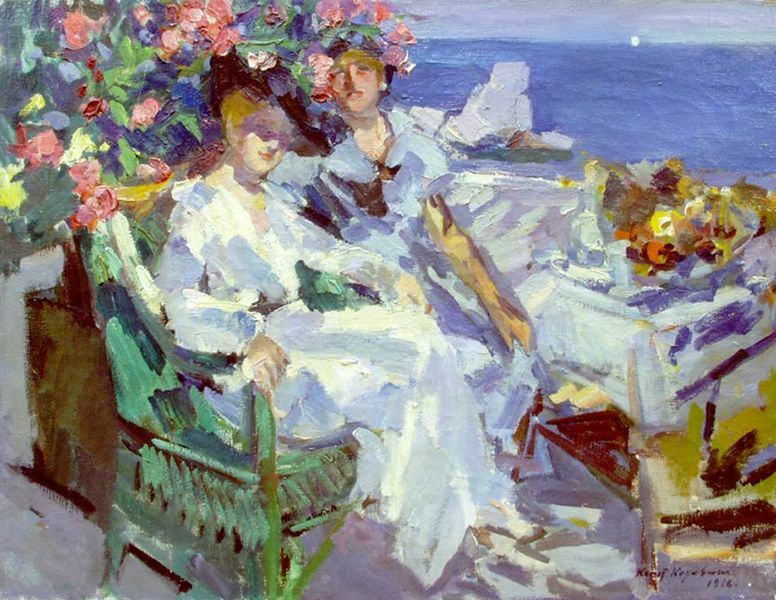 Brother of Sergey Korovin. 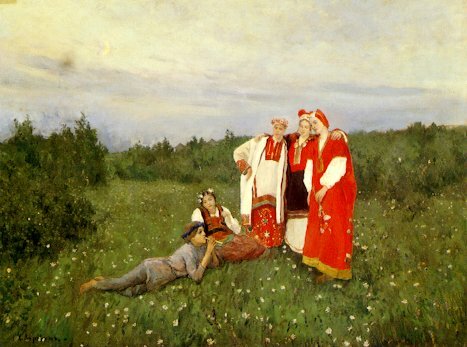 In 1874 he entered the Moscow School of Painting, Sculpture and Architecture, where he studied under the landscape painters Aleksey Savrasov and Vasily Polenov. 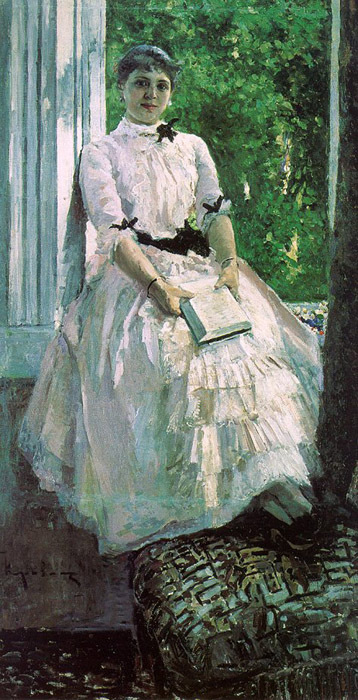 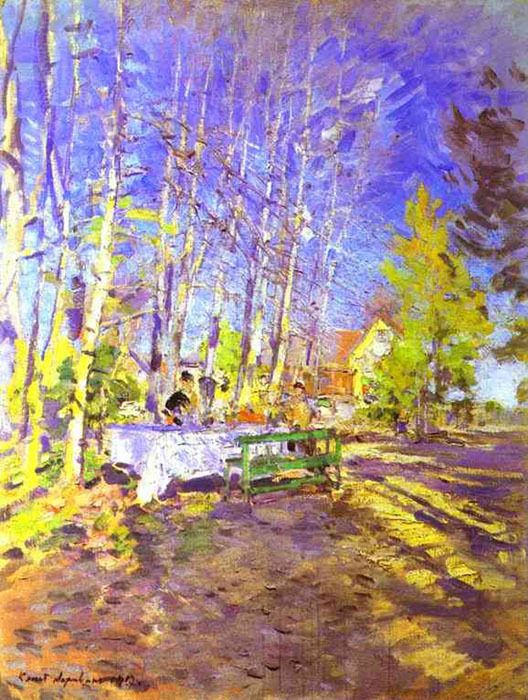 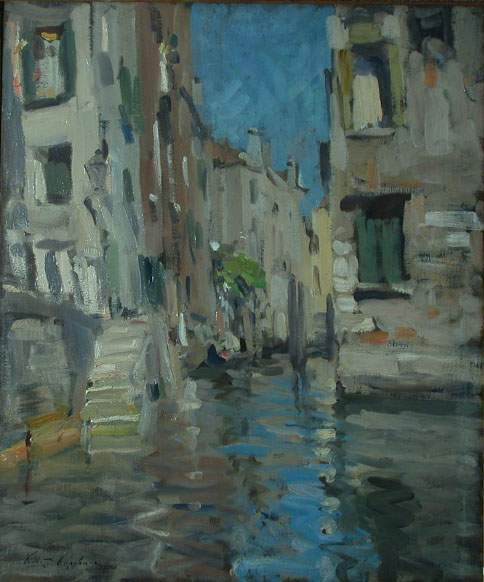 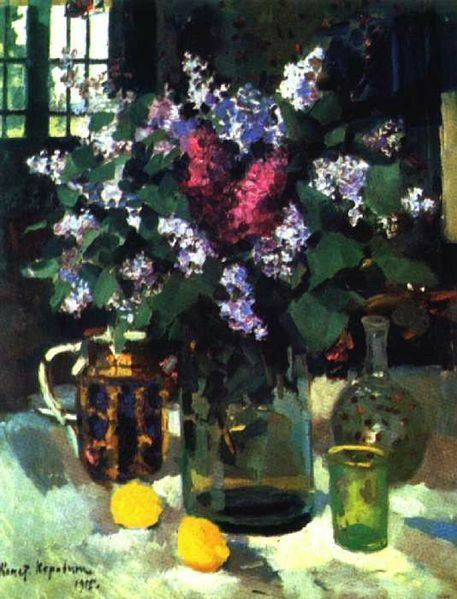 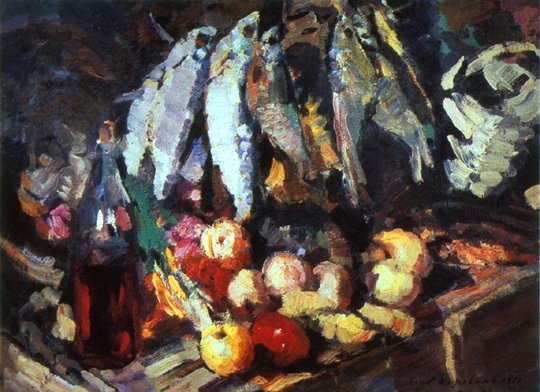 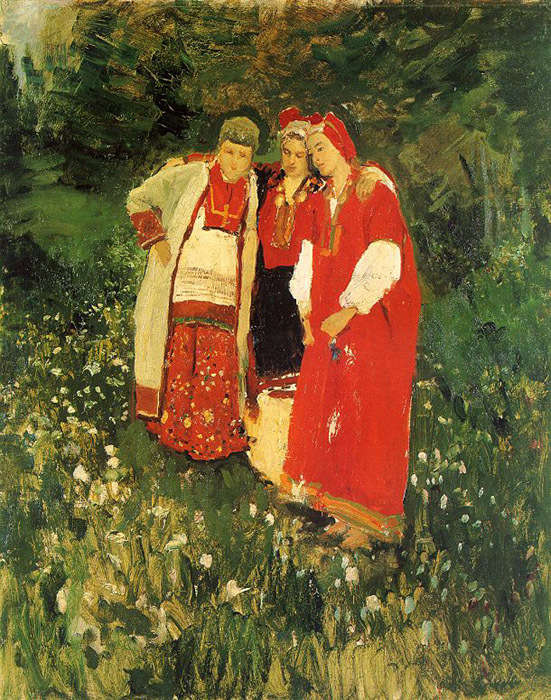 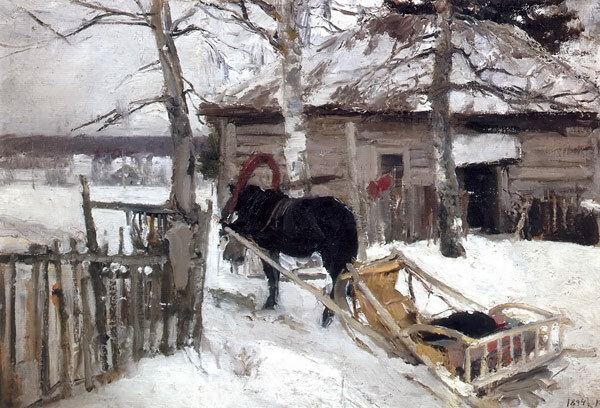 Through Polenov, Korovin met the art patron Savva Mamontov and became a leading member of the Abramtsevo colony, which comprised the most innovative painters and stage designers of the period. 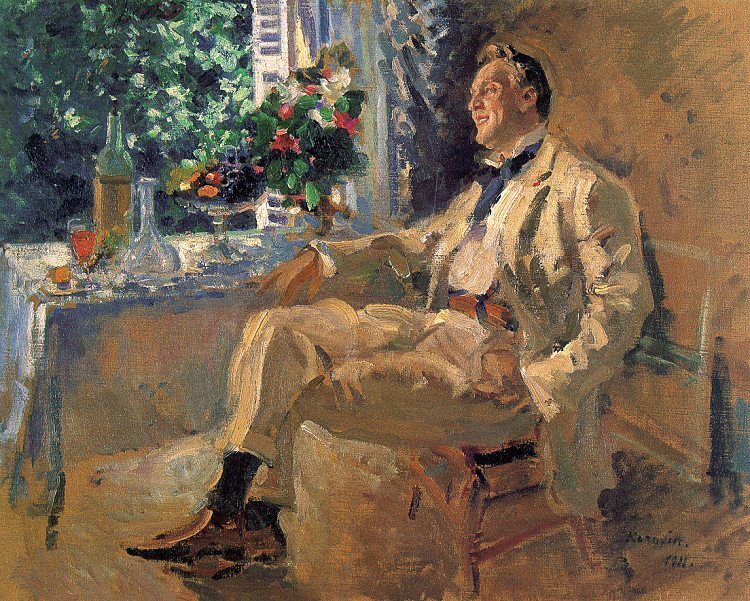 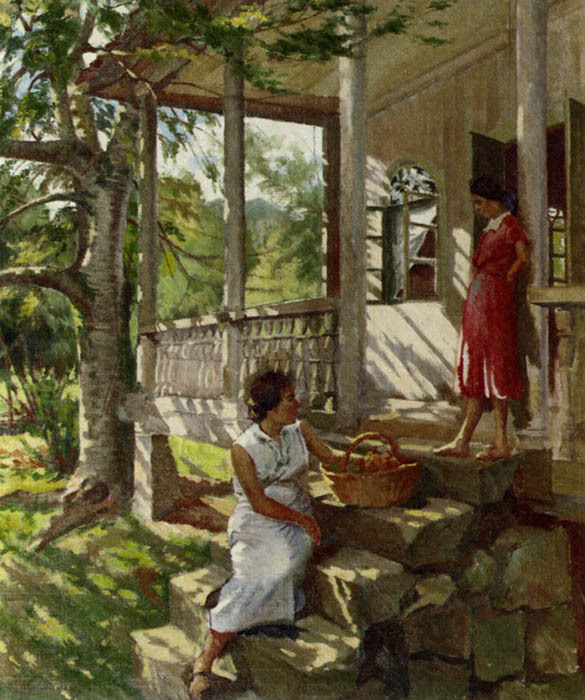 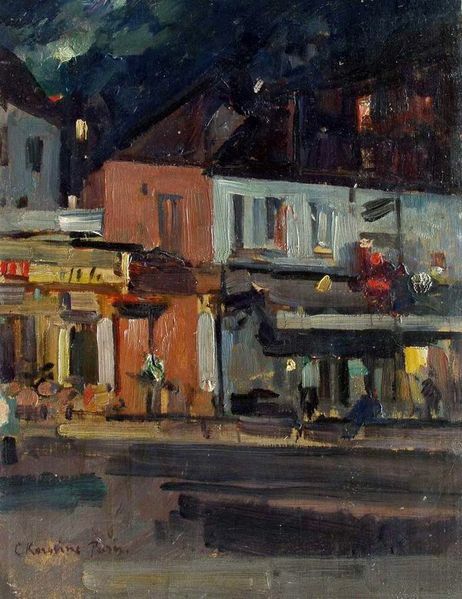 His early landscapes continued the plein-air explorations of his teachers. 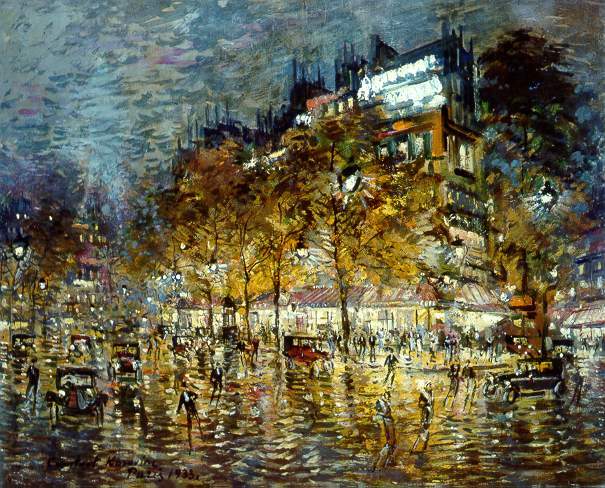 Travelling extensively in Europe in the 1880s and 1890s, he was influenced by French Impressionism. 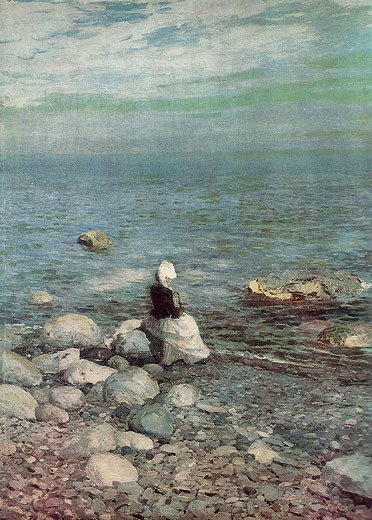 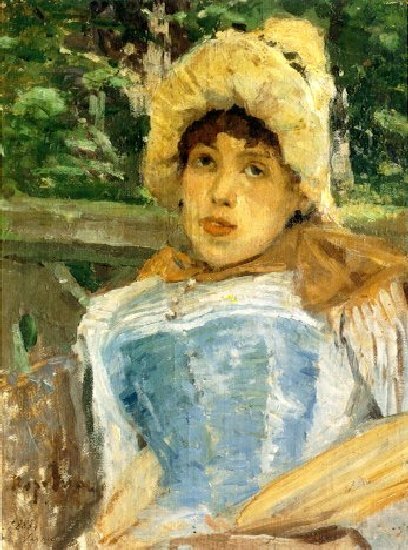 In the Boat (1887/8; Moscow, Tret’yakov Gal.) 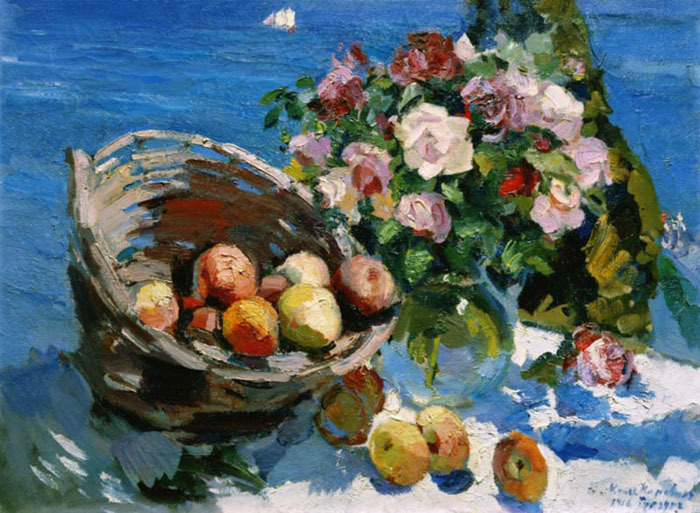 recalls the tilted perspective and bright colours of Edouard Manet’s Boating (1874; New York, Met.). 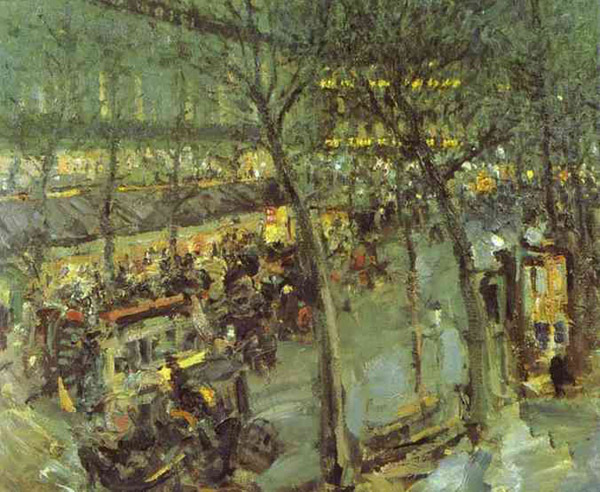 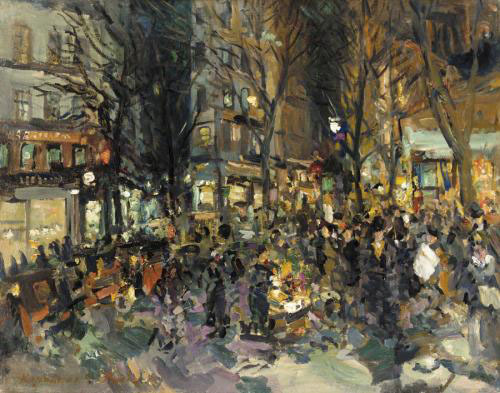 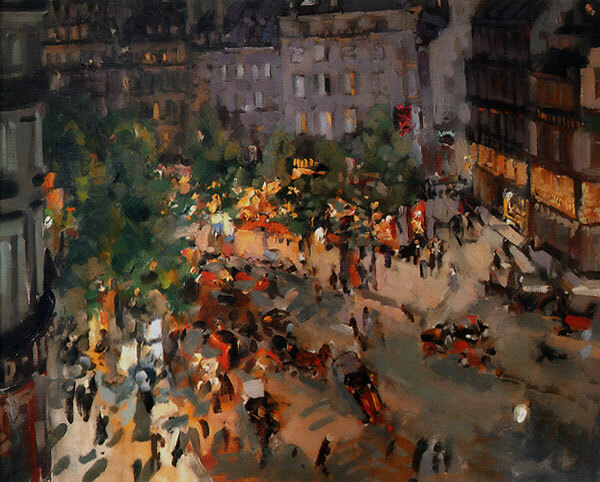 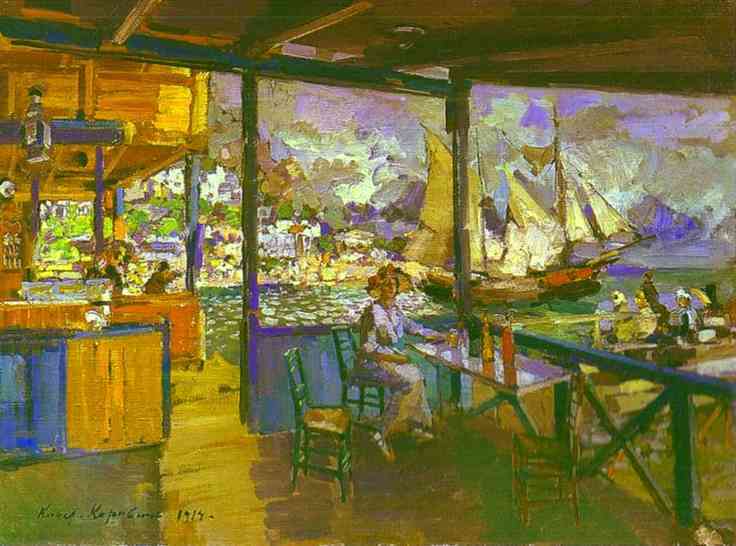 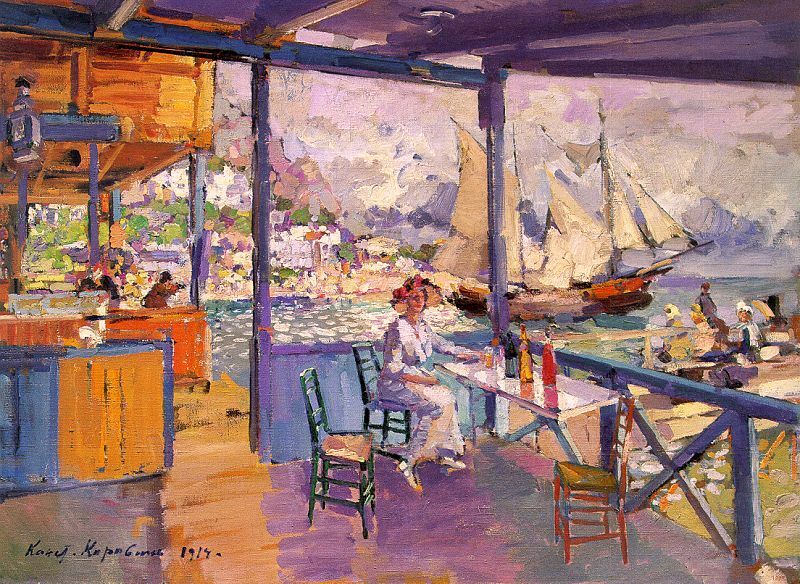 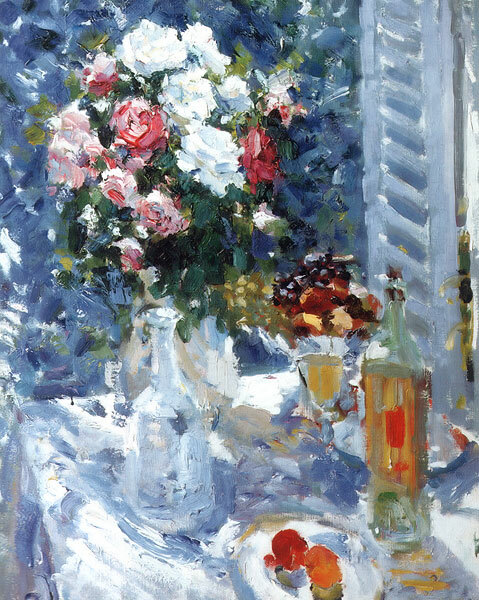 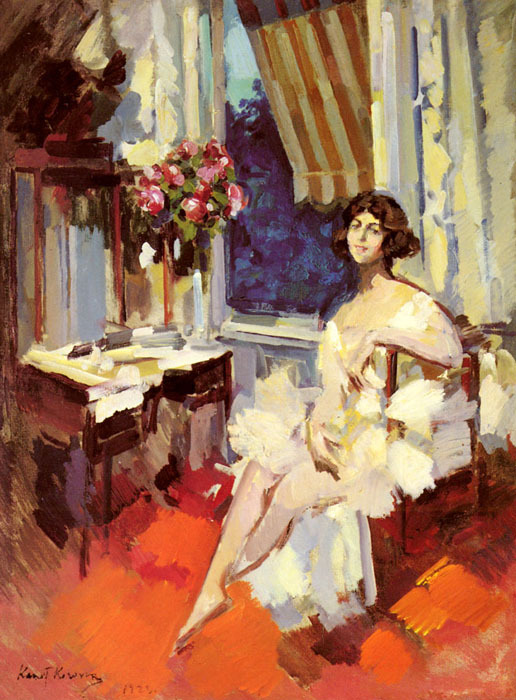 Typical examples of Korovin’s late Impressionist style are Café in Paris (1892–4), Café in Yalta (1905) and Paris by Night; Boulevard des Italiens (1908; all Moscow, Tret’yakov Gal.). 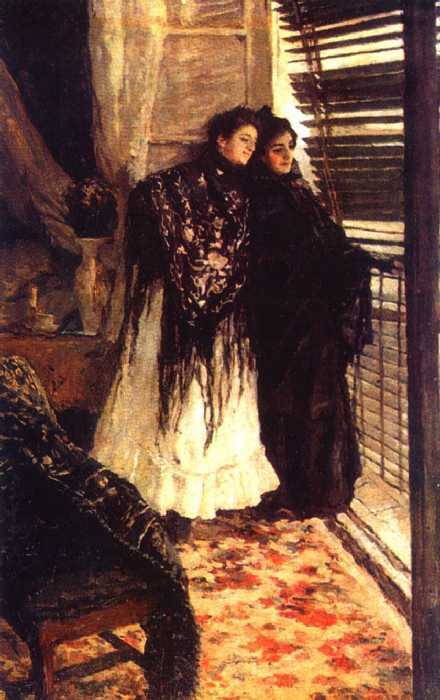 His designs for Mamontov’s Private Opera in Moscow in the 1880s and 1890s were unprecedented in Russia in their free use of colour and their departure from realism.